Earlier, the internet was primarily meant for connecting the world in terms of bringing people closer. But over time, the function of the web has become more and more complex. It acts as a great platform for marketers to showcase their products and for recruiters to find potential candidates for specific jobs. It has only created ease with which one can earn some extra cash by either starting up their own small business or by working from home. More often than common, these businesses do not require some special training or qualifications. Instead, all they need is your skill and passion. Once you have found your passion, you can develop it into a flourishing business. Freelancing has made the world an easier place to live where you aren’t confined to a 9-5 job. Your interest and creativity will surely make things work for you, and also help you earn an extra buck. With the development of technology, there are several websites that have come up with this excellent idea of acting as a platform for you to sell belongings that you no longer require. There are also many apps that allow you to do the same. You can sell used DVDs, game CDs, books, musical instruments like the guitar, to name a few. Apart from this, Amazon also sells used books to customers. However, the best app we have come across is Decluttr. This app will also give you an approximate estimate of the money you will fetch by selling your items. The media and publishing spheres were forever changed for the better by the advent of technology. You can now write your own e-book and publish it through websites like Amazon. Why would you want to self-publish? Because it removes the need for an agent and allows you to earn higher royalties. Usually, e-books are long-written articles about certain topics that run into thousands of words and talk about all sorts of topics – from self-help to biographies and crime novel, it can be anything. Despite emails and IMs (instant messages), most people are believers of calling customer care executives in case the need arises. Apart from this, call executives also find out feedback from customers. Many of these companies require people who can work from home to make such calls. If you have space to spare in your home then you can host on an app called Airbnb. This will allow you to earn some cash and utilize the place that you own. It is an extremely flexible app that lets you do this by renting out the space of a bedroom, your complete house or rent out a vacation pad. The frequency to the host can also be customized easily. You may have received emails asking you to complete surveys to earn Paytm money. While you may have considered this to be a scam at some point in time, there are genuine websites that will really pay you. Websites such as SurveyMonkey, pay you really well to complete surveys and can be a great way to earn extra cash. While it fetches you money, it helps companies understand their products better and work on them individually to improve consumer satisfaction. They may also pay you in the form of gift cards. As odd as this sounds, there is an app that allows you to click photographs of the food you have left which will be picked up by someone who likes it. This is extremely useful for those who cook large portions but don’t need as much. The app for this is called Leftoverswap. It is a great app that helps reduce the wastage of food. One of the best jobs for you to do in your spare time is to deliver food to people and make them happy. If you are the owner of a two-wheeler or a car, then you can sign up on DoorDash and deliver food for them. This is an easy way to get yourself some money and provides for a lot of flexibility. All you need is a basic background check and good driving skills. 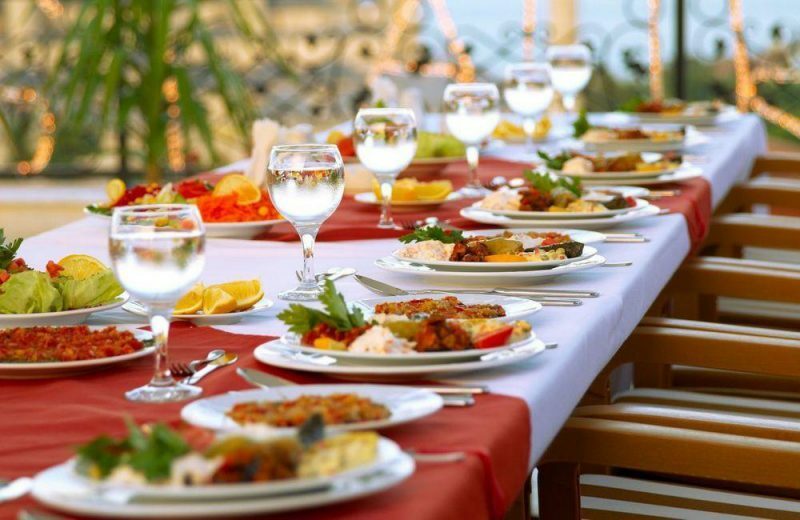 Working as a caterer allows you the flexibility no other job does and you are paid well. This doesn’t require commitment either and you can work according to your own convenience. It also helps in networking and allows you to meet people who may fund your future catering projects. If you have been successful in a particular field and can interact with people to motivate them, then there is a good chance that you can coach people to do the same. Coaching isn’t only related to sports but also to other activities like academics. You can coach people to become musicians as well. If you are a cyclist or a biker, you can work as a bike messenger to earn some money. It also keeps you fit by burning most of your calories. You can associate yourself with FedEx or other delivery firms and spend your time biking. Many people are passionate about gardening and love nurturing life in the form of small plants and flowers. On the other hand, there are many who huge lawns but do not have the time nor the energy to look after them. These people often hire others to look after their lush green lawns in exchange for money. Use your green thumb to make their spaces beautiful and magical. You can endorse yourself by the means of flyers or online advertisements. If you love animals and have the talent to handle them, then you can babysit them. There are people who pay others to take care of their dogs and other pets. All you have to do is feed them and take them out for a walk. You will be paid extremely well for doing this job and you can look after them at their own homes. Companies like Uber allow you to run your own taxi companies without much of the licensing fees which make it easier to earn money. If you are good with people, then this may be the job for you! So, these are some of the really cool ways to earn a little extra cash without having to work too much.